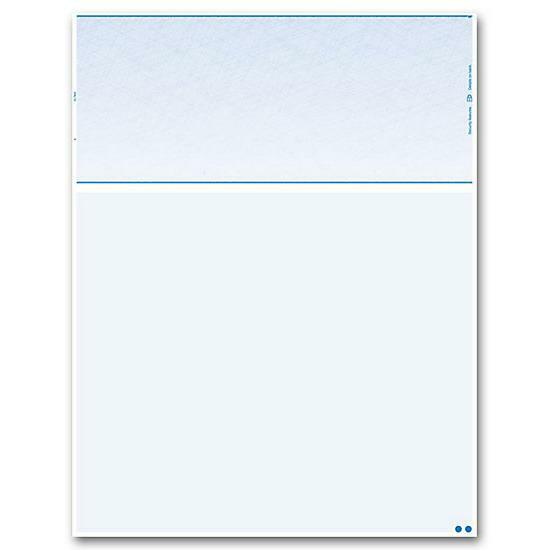 Blank business checks are designed to be used with your computer software that prints the entire check and printed by your laser printer. 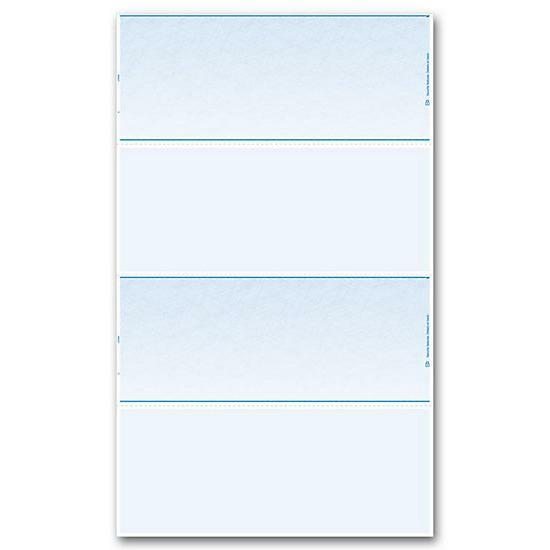 The paper stock is ideal for printing checks and acceptable by your local banks. They are cheap and cost much less than custom checks, but make no mistake, they are among the highest quality checks on the market. 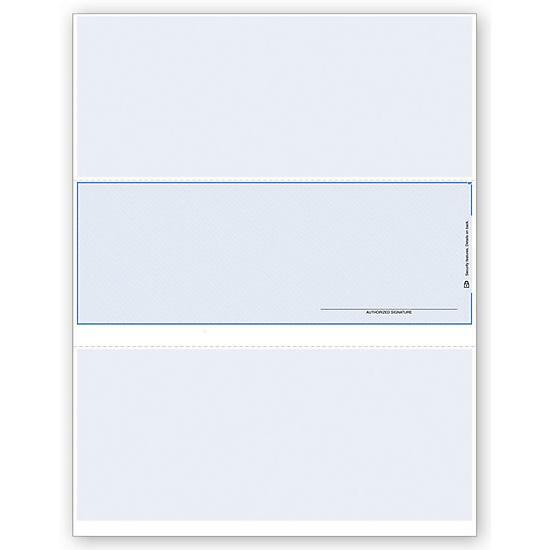 Our blank check stock is made to the same standards as the base stock used by most bank-recommended check printers. 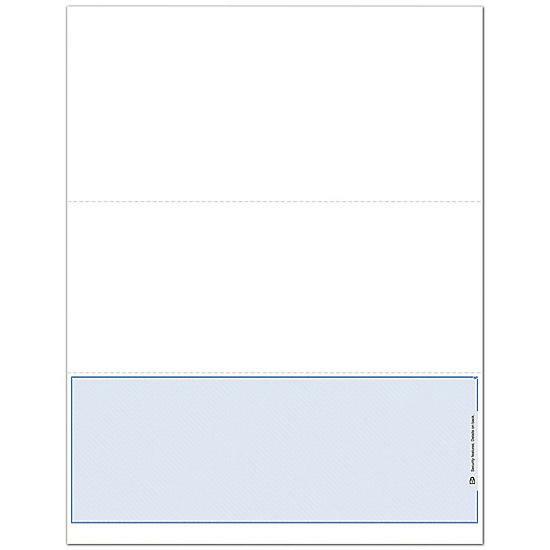 Use the mase check stock conveniently for several accounts and eliminate the need to change the supply in the printer tray. You get an added layer of security because account numbers and other confidential financial institution information are not added until you print the check. 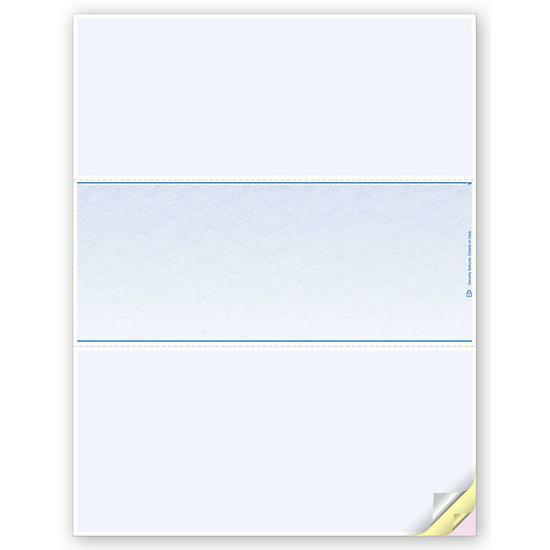 They are blank but you still have the option to choose from several background colors and they have built-in security features like chemically sensitive paper, erasure protection, back printing security screen & warning box. 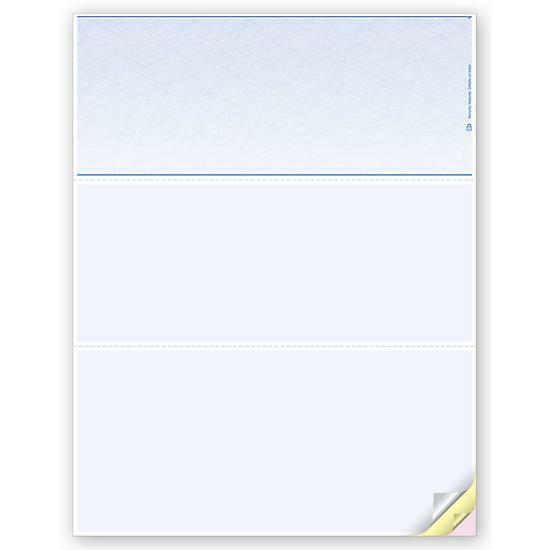 If you are planning to print your own checks, we offer a wide variety of blank business check stocks for you to choose from. 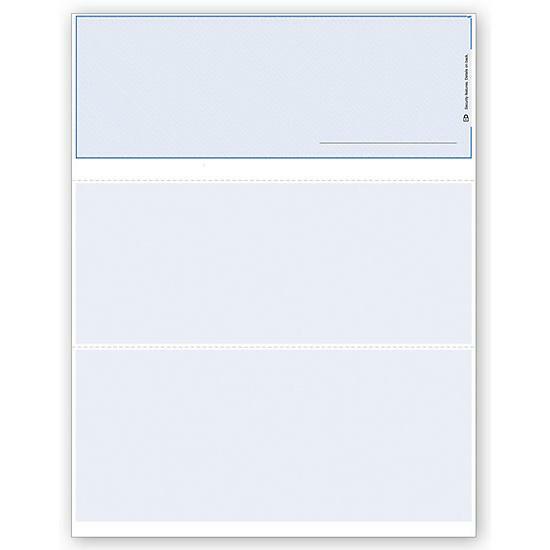 They can be printed on inkjet or laser printers but since you are printing your own checks from scratch, it is recommended that you use magnetic ink which is easier to read electronically. 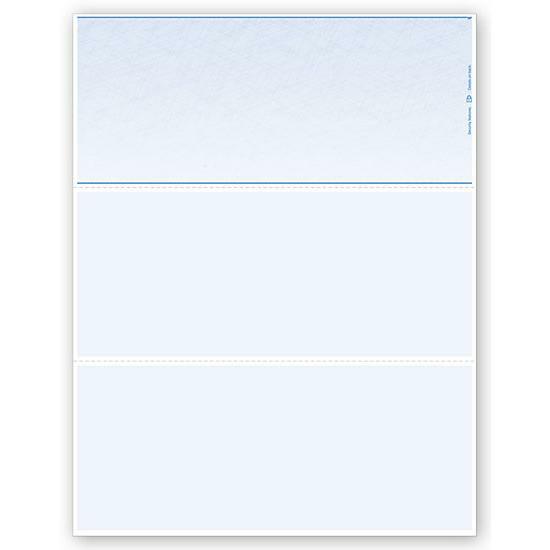 Our blank checks are made from premium quality paper stock and with high-security features. 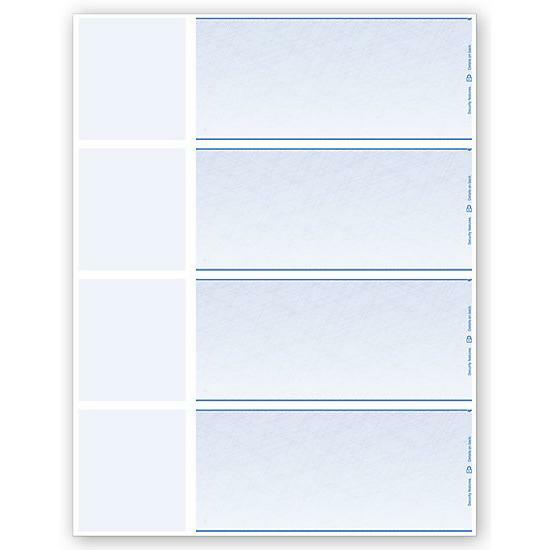 Blank laser check stock comes in many different formats to ensure convenience and simplicity for your business. They are designed with checks positioned at the top, in the middle or at the bottom. You also have the option to choose whether you want 1, 2, 3 or 4 checks on each stock. 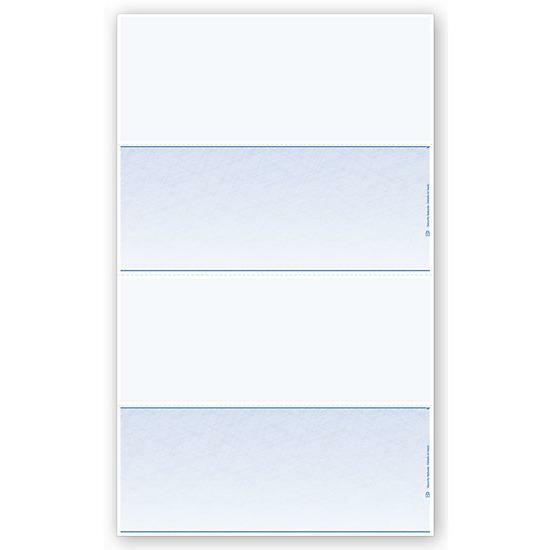 Blank checks are not imprinted. 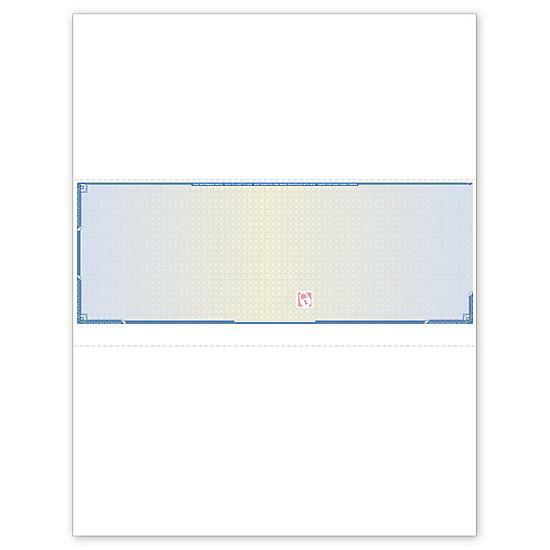 These are blank laser check stock that should be used with software and MICR cartridges which contain magnetic toner. 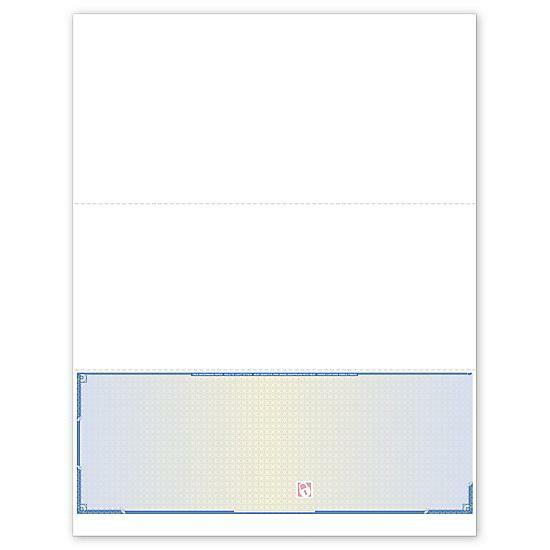 These are required in order to print the entire check, including the MICR numbers. Linen check color choices are blue, green, tan, gray, violet & maroon. 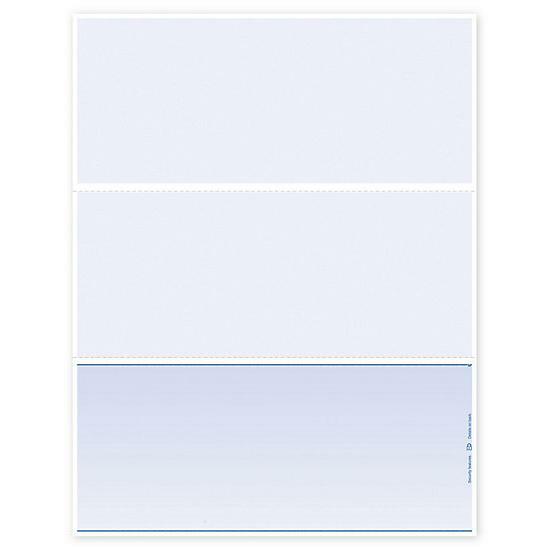 The carbonless copy options are a single sheet, 2 parts/duplicate, and 3 parts/triplicate. 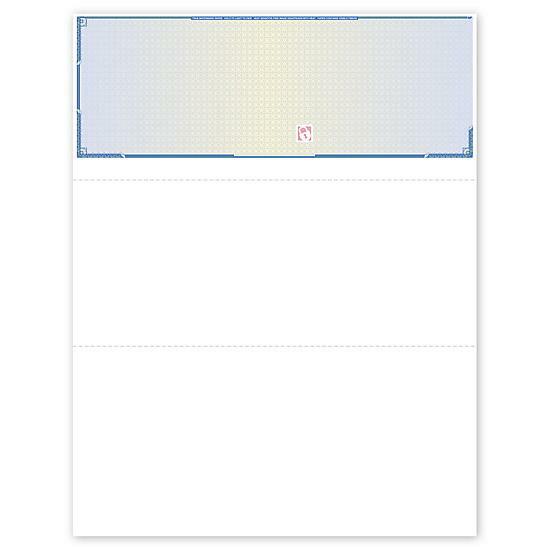 The check location can be at the top, in the middle or at the bottom. 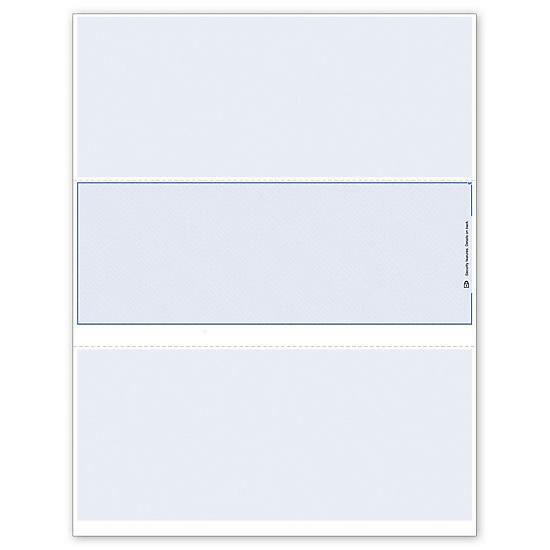 You can also have 2 check or 3 checks on a page. The unlined checks are also very popular.